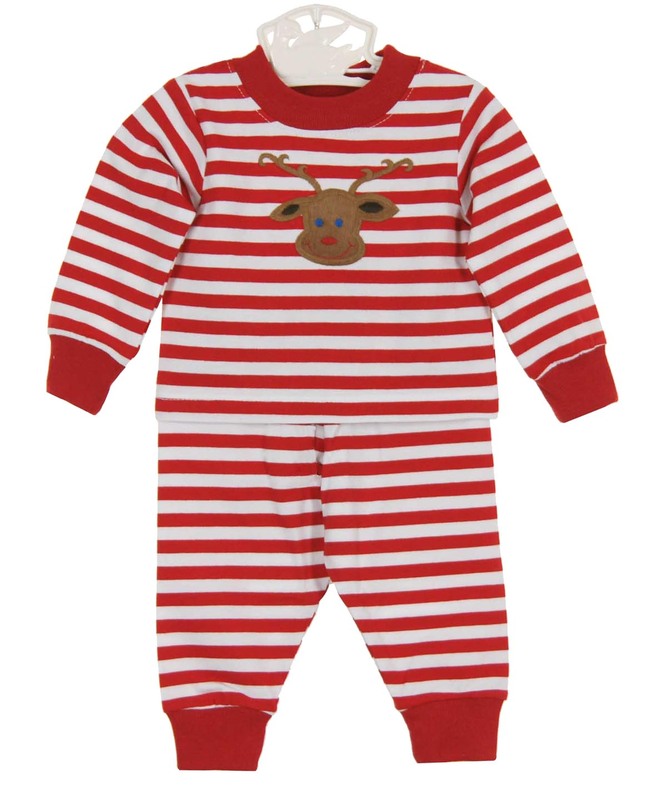 This adorable little red striped knit set is made by Bailey Babies, a leading manufacturer of classic children's clothing for 20 years. 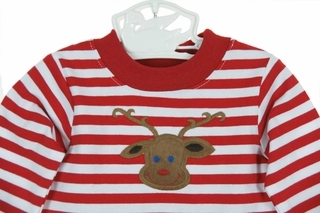 Made of soft cotton and lycra blend, it features an appliqued reindeer on the chest. 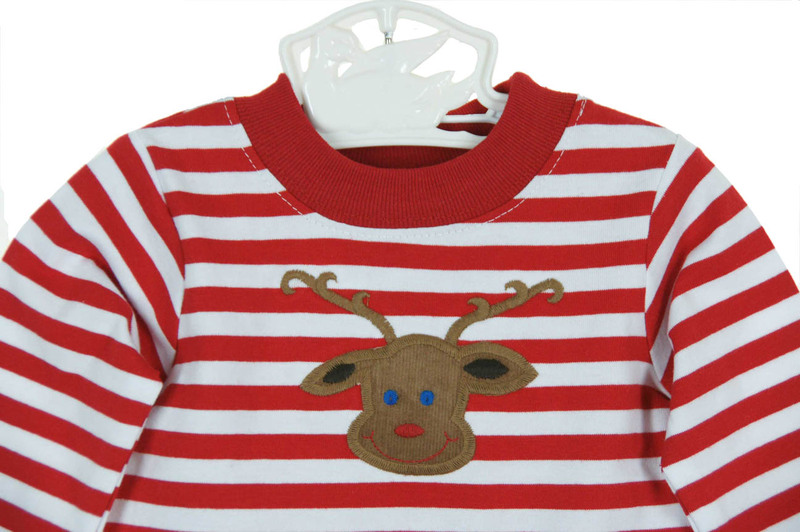 It has red trim at the neckline, long sleeves, and legs. 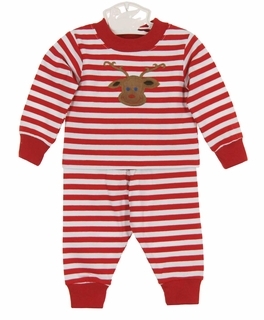 The perfect Christmas pajamas for your baby or toddler boy or girl! Please note that this cotton blend lounge set has not been treated with flame retardants so it cannot be recommended for sleepwear.